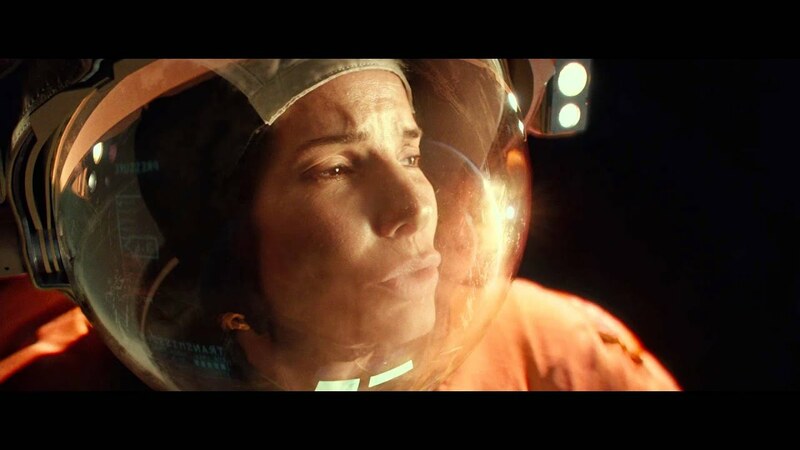 Gravity will be re-released in IMAX 3D theatres January 31. 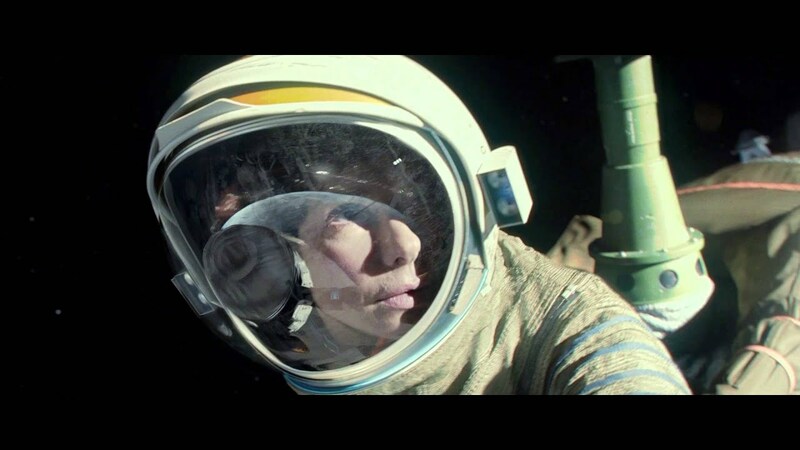 The IMAX release of Gravity will be digitally re-mastered into the image and sound quality of An IMAX 3D Experience® with proprietary IMAX DMR® (Digital Re-mastering) technology. The crystal-clear images coupled with IMAX's customized theatre geometry and powerful digital audio create a unique environment that will make audiences feel as if they are in the movie. Hello IMAX fans and welcome back to this week’s edition of Friday Feature. For today’s post, we are spotlighting a brand new art gallery unveiled last week at the IMAX Playa Vista Headquarters called The IMAX Gallery. The brain-child of IMAX employee Max Keller (pictured above), The IMAX Gallery is a permanent, rotating collection of high-concept film art by artists from around the world, featuring art inspired by films including Star Wars: The Force Awakens, Avatar, Gravity, La La Land, and The Dark KnightTrilogy. Keller said he selected the art based on several factors including the cultural significance of each film on which the art is based, as well as the importance of the film to IMAX. “The ultimate goal was to make the wall as diverse as humanly possible,” Keller said. The gallery includes 16 pieces by 16 different artists, representing 16 separate films released in IMAX. The featured artists, most of whom collaborate regularly with such well-known film and pop-culture art galleries as Mondo and Hero Complex, are highly regarded among film fans and collectors alike. Kevin Tong, whose Gravityposter (a limited edition of 375 printed in 2013) is featured in the gallery, spoke with IMAX about his inspiration behind the piece, as well as his general love for movies and art. “I think anything that Mondo does, and all the artists they work with, is always, in a way, in worship of the film, because these aren’t really being used as one-sheets or as billboards,” Tong said. “It’s more about celebrating the movie and providing a very specialized, unique product that hasn’t been mass-produced. Attention, Earthlings! 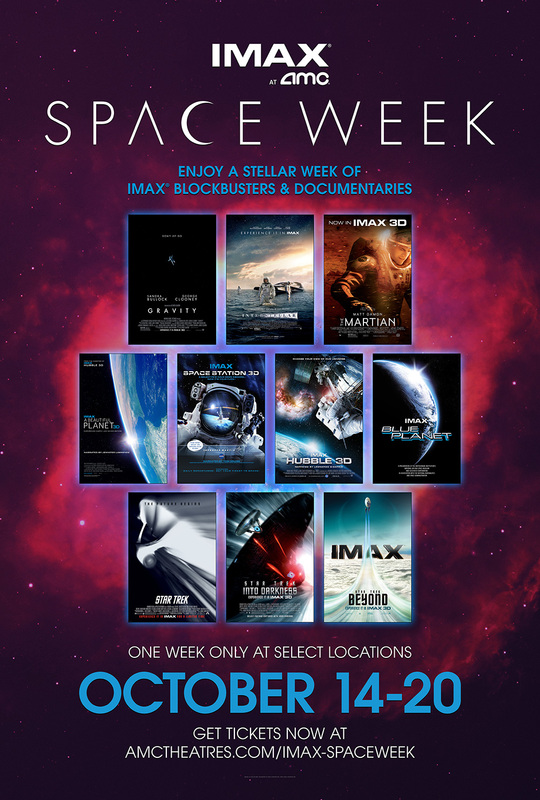 IMAX has partnered with AMC Theatres to bring you Space Week! Each morning, guests can enjoy the Space Education Experience viewing two 40-minute IMAX documentaries for just $8 per ticket. 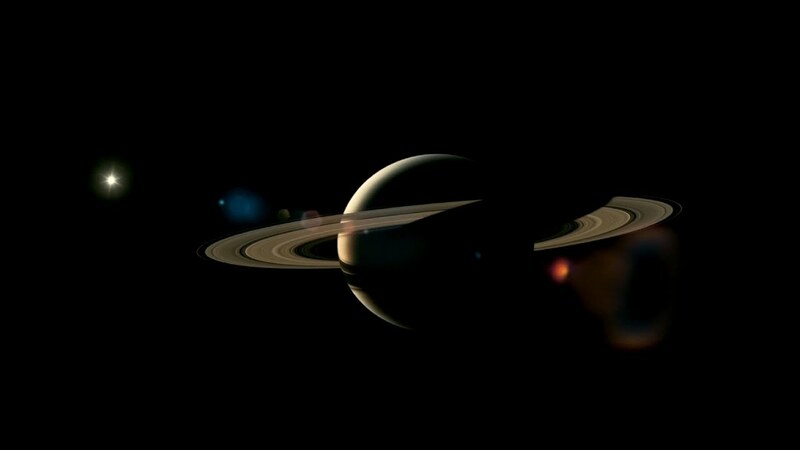 For the remainder of the day, journey through the galaxy in one of our IMAX Space Features. 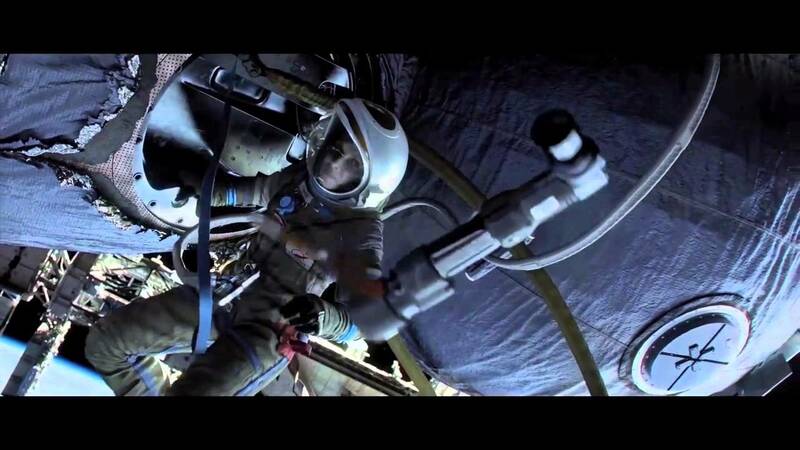 And for those movie lovers who really want to make the most of their Space Week experience, the IMAX Space Pass provides unlimited access to all of the space-filled excitement throughout the week. Find a theatre near you below!